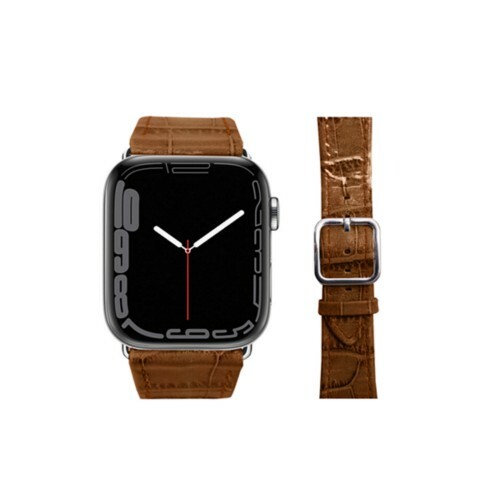 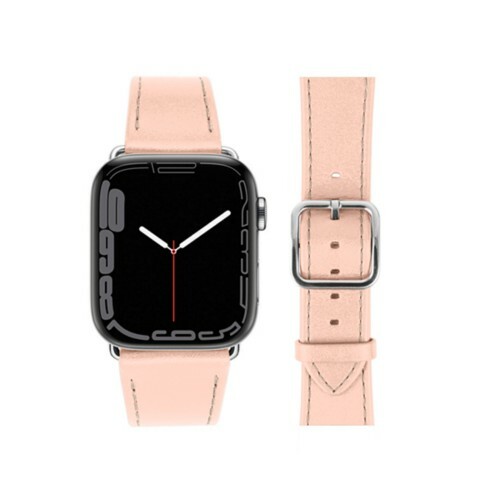 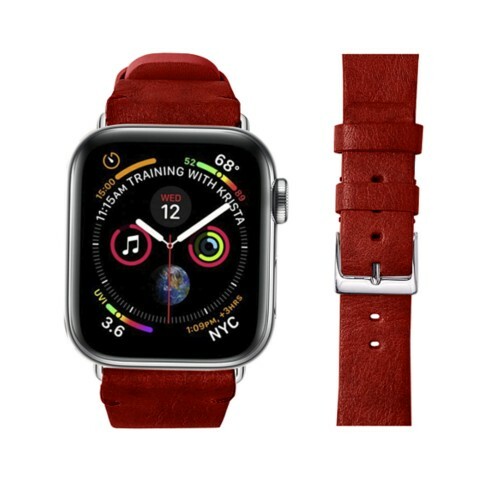 Discover the entire collection of leather watchbands for the new Apple Watch Series 4. 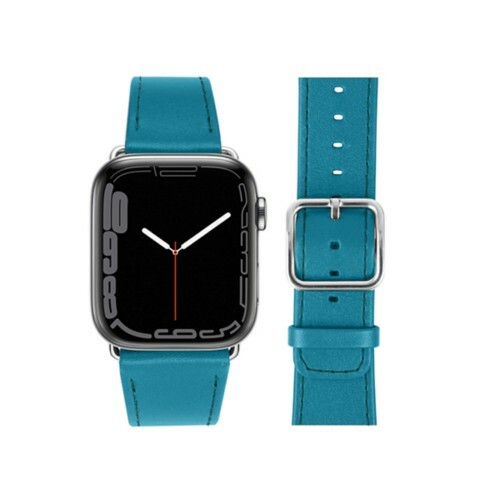 Lucrin presents an incredible choice of watch straps that you can customise as you wish, specially thanks to the large palette of colours available. 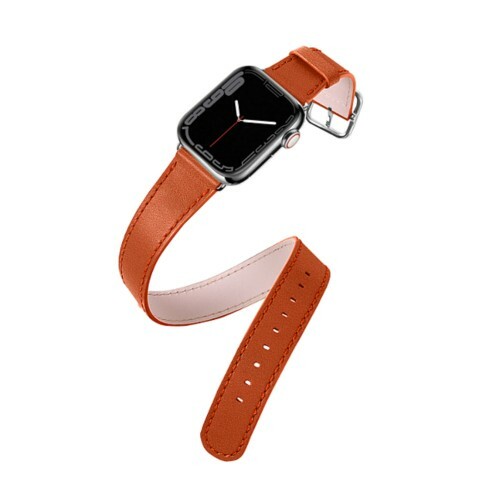 The haute horology watchband in leather turns your Apple Watch into a very luxurious masterpiece. 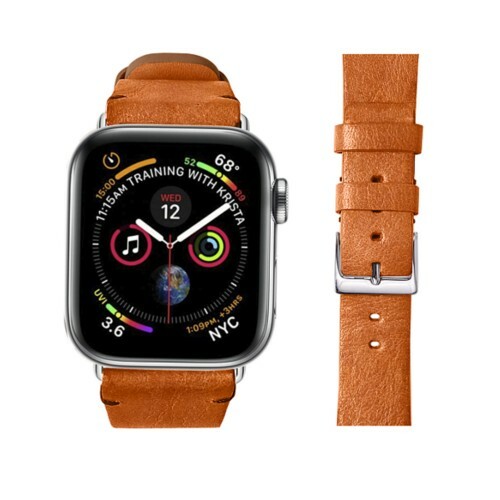 You have the choice among a fine selection consisting of vintage leather bands, double tour or even the version with hook-and-loop fasteners. Coming in 40 or 44 mm version, all our Apple Watch 4 leather watchbands are proposed in 3 sizes, all with anti-allergic lining, and you can even customise the Apple Watchband with contrasting thread colour and unique initials engraving.